College Teams There are 90 products. Penn State 550 Paracord is navy blue and white (Polyester/Nylon). Made in USA. Michigan 550 Paracord is royal blue and goldenrod with a little bit of white (Polyester/Nylon). Made in USA. Norfolke 550 Paracord is purple and white with black vertical stripes (Polyester/Nylon). Made in USA. Show your fan support for the Wisconsin Badgers with our 550 paracord fan package. *Please note these packs only count as one cord toward free buckles and flat rate shipping. Show your fan support for the Arkansas Razorbacks with our 550 paracord fan package. *Please note these packs only count as one cord toward free buckles and flat rate shipping. Show your fan support for the Arkansas State Red Wolves with our 550 paracord fan package. *Please note these packs only count as one cord toward free buckles and flat rate shipping. Show your fan support for the BYU Cougars with our 550 paracord fan package. *Please note these packs only count as one cord toward free buckles and flat rate shipping. Show your fan support for the Duke Blue Devils with our 550 paracord fan package. *Please note these packs only count as one cord toward free buckles and flat rate shipping. Show your fan support for the Georgia Bulldogs with our 550 paracord fan package. *Please note these packs only count as one cord toward free buckles and flat rate shipping. Show your fan support for the Miami (FL) Hurricanes with our 550 paracord fan package. *Please note these packs only count as one cord toward free buckles and flat rate shipping. Show your fan support for the Mississippi State Bulldogs with our 550 paracord fan package. *Please note these packs only count as one cord toward free buckles and flat rate shipping. Show your fan support for the Texas Longhorns with our 550 paracord fan package. *Please note these packs only count as one cord toward free buckles and flat rate shipping. Show your fan support for the Texas A&M Aggies with our 550 paracord fan package. *Please note these packs only count as one cord toward free buckles and flat rate shipping. Show your fan support for the Texas Tech Red Raiders with our 550 paracord fan package. *Please note these packs only count as one cord toward free buckles and flat rate shipping. Show your fan support for the Utah State Aggies with our 550 paracord fan package. *Please note these packs only count as one cord toward free buckles and flat rate shipping. Show your fan support for the Temple Owls with our 550 paracord fan package. *Please note these packs only count as one cord toward free buckles and flat rate shipping. Show your fan support for the Marshall Thundering Herd with our 550 paracord fan package. *Please note these packs only count as one cord toward free buckles and flat rate shipping. Show your fan support for the Cincinnati Bearcats with our 550 paracord fan package. *Please note these packs only count as one cord toward free buckles and flat rate shipping. 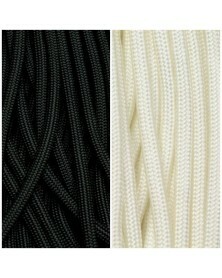 Show your fan support for the Brooklyn Nets with our 550 paracord fan package. *Please note these packs only count as one cord toward free buckles and flat rate shipping. Show your fan support for the Charlotte Hornets with our 550 paracord fan package. *Please note these packs only count as one cord toward free buckles and flat rate shipping. Show your fan support for the Chicago Bulls with our 550 paracord fan package. *Please note these packs only count as one cord toward free buckles and flat rate shipping. Show your fan support for the Cleveland Cavaliers with our 550 paracord fan package. *Please note these packs only count as one cord toward free buckles and flat rate shipping. Show your fan support for the Dallas Mavericks with our 550 paracord fan package. *Please note these packs only count as one cord toward free buckles and flat rate shipping.